This horticultural cultivar is native to Madagascar and has been selected for its very showy, blue white, fan-shaped leaves. Performing well in tropical to subtropical regions, it prefers an open sunny aspect. 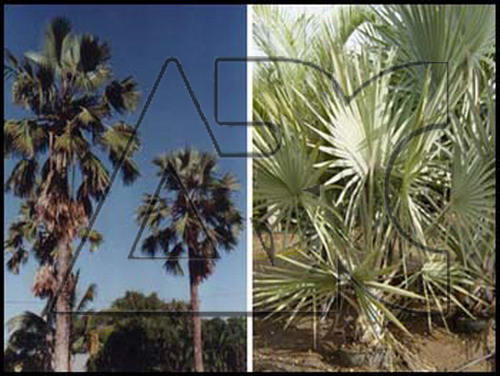 This beautiful palm makes a striking landscaping specimen. Mature fruit hang in large clusters from the crown.